Happy new month and happy mid week. I hope the past months have brought nothing but blessings. I know I haven’t posted in a while and I have no excuse. Hopefully, it changes as we have entered a new month. I have been working on my skin you know, switching things up and trying new products. I have also recognized that there are skincare practices I have since introduced that have made a great difference to my skin. 1. Always remove makeup before bed. I guess we all know the drill by now. Leaving your makeup on overnight can clog pores and lead to more acne. 2. Exfoliate regularly. You can use a chemical exfoliant or go the physical route. I however do both. To physically exfoliate, I use the Loofah Complexion pad made out of loofah, a natural vegetable fiber, along with Clearasil Salicylic acid cleanser or Simple kind to skin smoothing facial scrub depending on how well i want to exfoliate. My skin always feels cleansed, softer and smoother and the great part is that it’s gentle enough to use daily. 3. Use a toner before you apply cremes or serum on your face. This helps whatever you put on afterwards to work effectively. Simple soothing facial toner and Pixi Glow tonic are very 2 great toners to use. Pixi glow tonic doubles as a chemical exfoliant and a toner which is super great for the skin. 4. Incorporate Salicylic acid and/or benzyl peroxide into your skincare regimen. This depends on the severity of your acne. Using both has made a tremendous difference to my skin this past few months. 5. Keep your hands off your face. No to touching your face. You will just be transferring bacteria from your hands to your face and you know what that can cause. 6. Drink plenty of water and green tea. This helps to remove toxins from your system. 7. Leave your pimples alone!! I can’t stress this enough. I found out that half of the reason I end up with black spots on my face is because I kept poking at my pimples. 8. 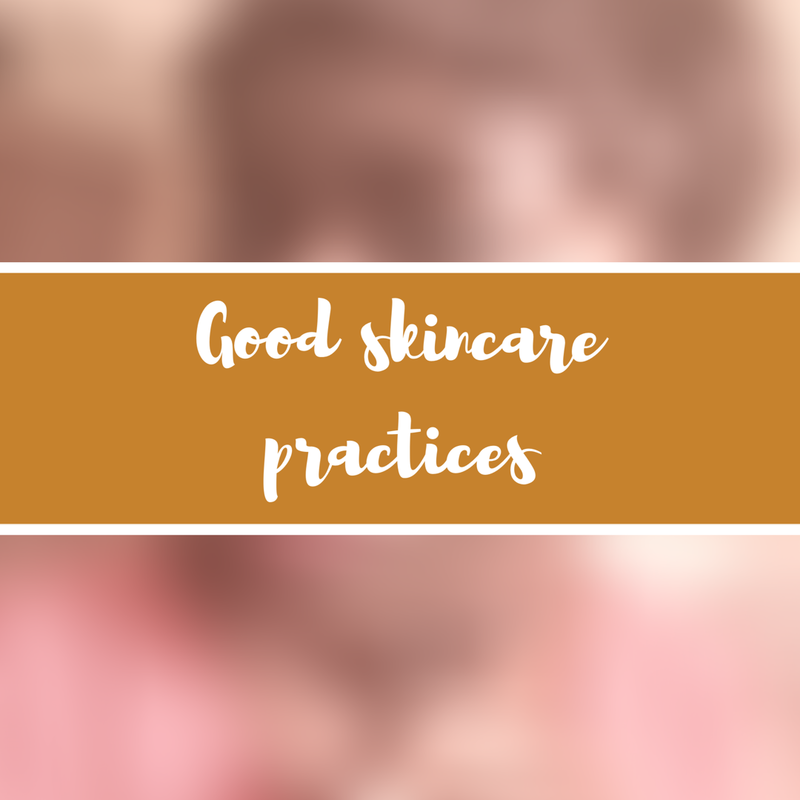 Regularly switch up your facial wash and water for a cleansing lotion or balm. I find that every time i use the Simple kind to skin purifying cleansing lotion and follow up with the Kind to skin soothing toner, my skin feels more refreshed and hydrated and glows than when i use my facial wash. This is not to say that you should completely replace your washes for this lotion however, it can be used occasionally. I usually use this combination when my skin isn’t so oily and dirty and at night. 9. Moderate your sugar, fast food, fizzy drinks e.t.c intake. It just helps to balance sebum production and reduce acne. 10. Eat your veggies and fruits especially alkaline ones. It helps to balance the PH of your skin. Do you know of any other skincare practice that has helped you? would love to read. Absolutely LOVE these suggestions, thank you for sharing! Exfoliating and drinking plenty of water have been my go-to’s, and I definitely see the difference when I don’t do either of them regularly! Hi Anne, You’re very welcome. Thanks for reading and stopping by.